Formerly the most important element of this county side house was the impressive hydraulic mill of XVIII century. This mill use to work with the water of the pond situated in the backyard of the house. This pond is filled with the water of Llémena river through a long duct. 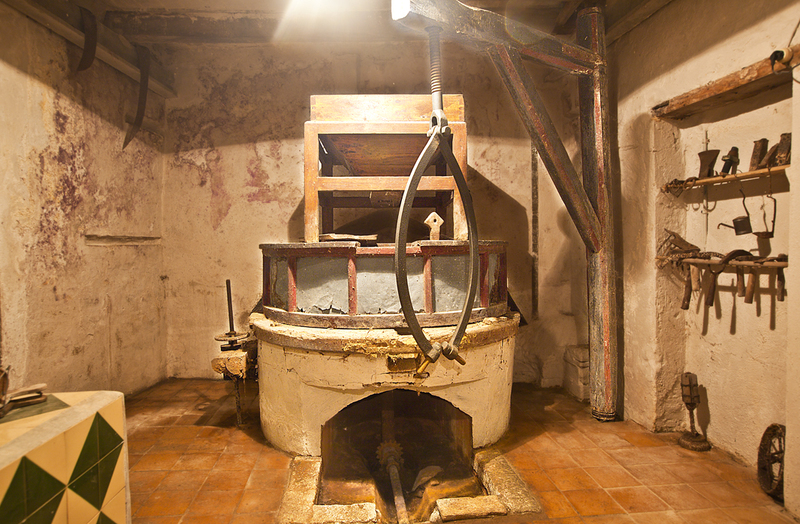 When you’ll visit the mill, you will find too the old wine cellar and the old frigorific chamber and a little museum of tools and machinery of ancient farmers.